There are limbs that need to be cut in places where the “rope saw” can do it best and do it safely. The 48″ pro saw comes with 24′ of non-conductive polypropylene rope on each end. A throwing weight on one rope end is for tossing over the limb to start the cut. Carbon steel patented BIMATIC teeth provide efficient bi-directional cutting action and may be sharpened with a conventional 5/32″ round file. To cut limbs higher than 25 feet just add more rope. 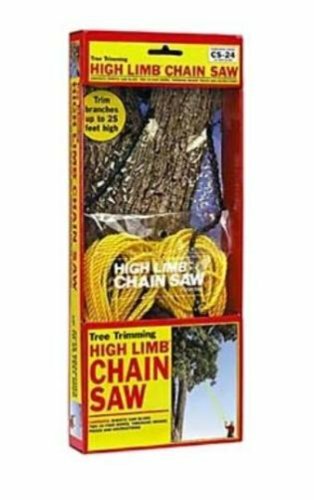 Works best on limbs and branches up to 13″ in diameter. This is for the 48″ chainsaw.